This very rare example displays one perfect lappet and another partial. The ammonite has been prepared both sides by Andy Cowap and all the matrix removed with stunning effect. 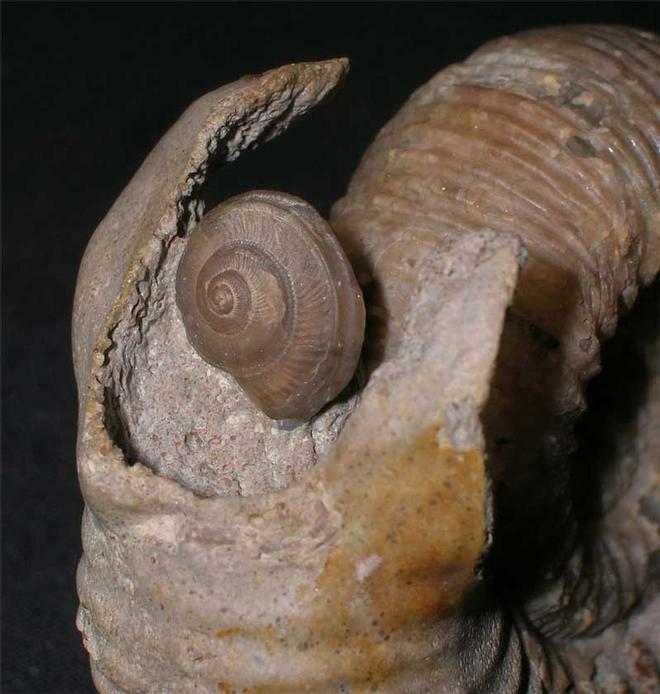 A small Gastropod has been washed into the aperture (Obornella granulosa) which really adds to the overall aesthetics. 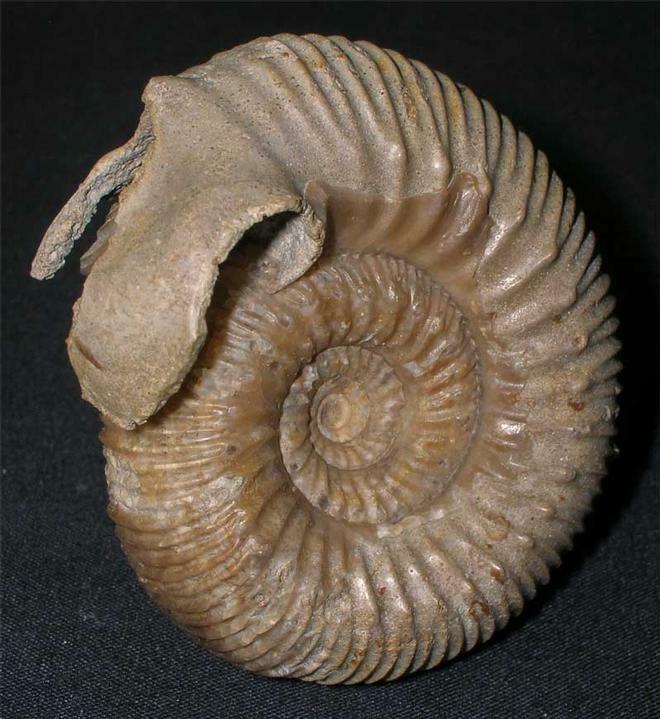 Oolithic ammonites of this rarity and quality rarely come onto the open market. 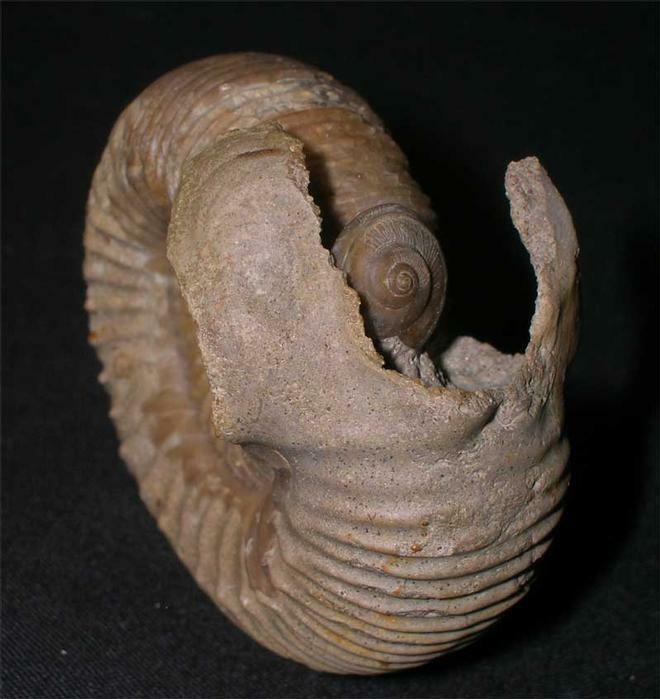 This ammonite was discovered in a temporary exposure in 1989. Approximately 168 milliion years old. 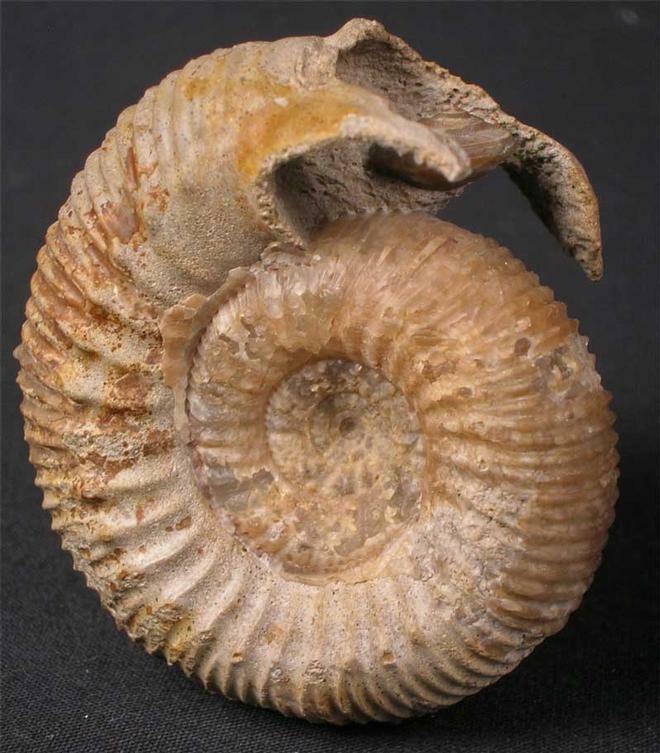 A valuable addition for the serious collector of rare ammonites.